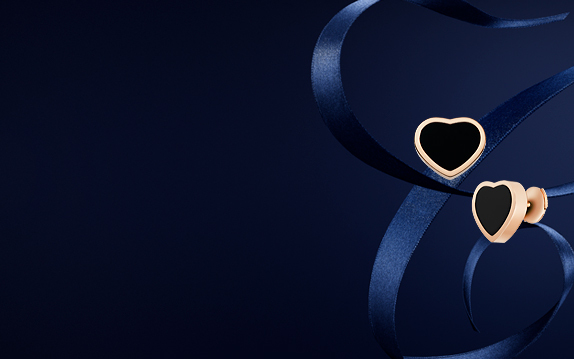 A perfect alliance between Chopard’s heart emblem and the Maison’s iconic moving diamonds, the Happy Hearts Collection unites all women who share a taste for generosity and self-giving – women with a big heart. 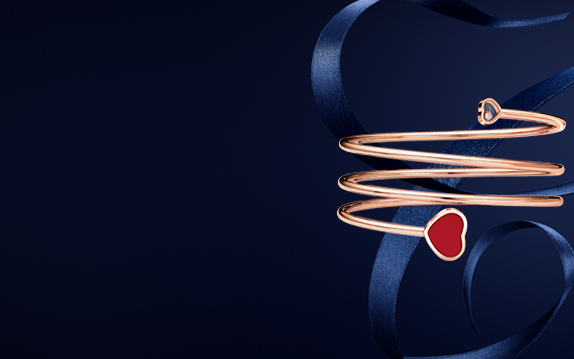 Composed of jeweled hearts fitted with moving diamonds and colorful hearts, the collection regularly enriches its color range with new variations, offering an ever-growing selection and enabling women to acquire a treasure trove of these talisman jewelry pieces. 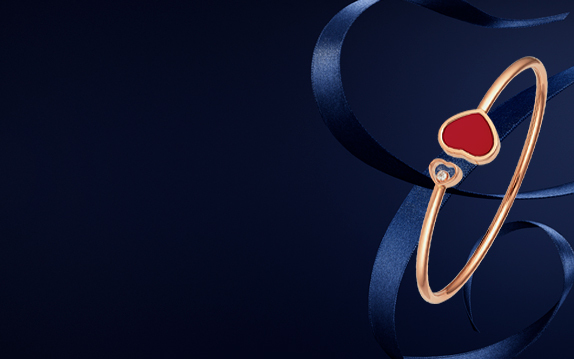 Chopard, the Big-Hearted Maison, has always regarded self-giving and generosity as its core values. 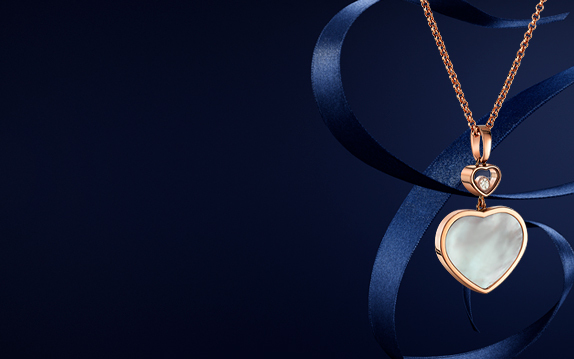 Caroline Scheufele has clearly understood that Chopard must not confine itself to selling exceptional watches and jewellery, but that it has a duty to dedicate the family-driven success and influence of the Maison to philanthropic commitments. 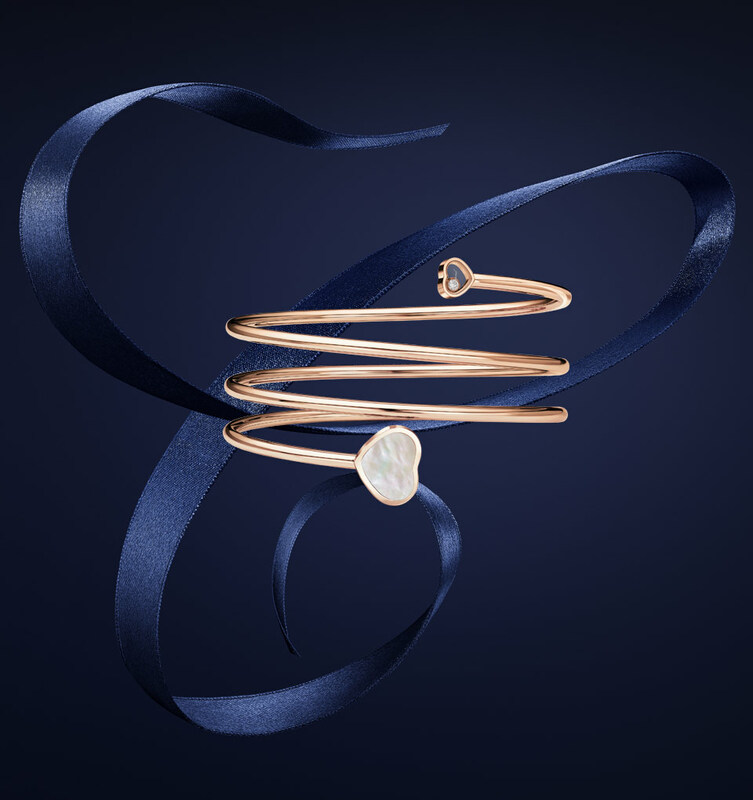 Sparkling and audacious, the Happy Hearts collection is for women in search of softness and grace. 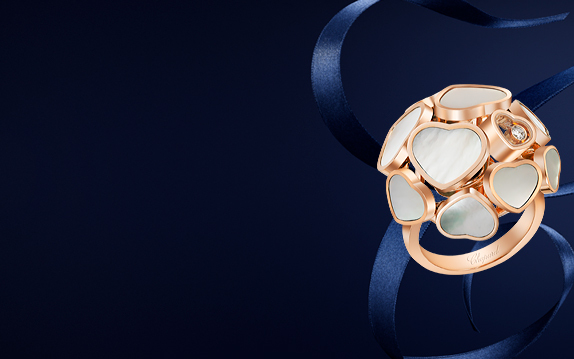 Happy Hearts rings joyfully express contemporary femininity, between audacity, radiance, freedom of spirit and joie de vivre.